India Yamaha Motor (IYM) Pvt. 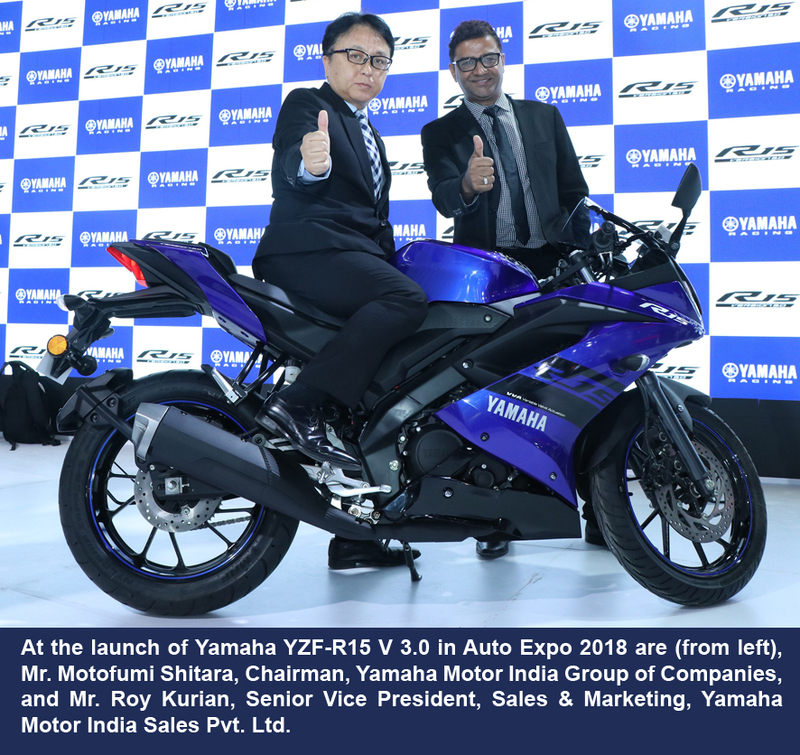 Ltd. announced the launch of its much-awaited super sports bike YZF-R15 (Version 3.0) during the inaugural day of Auto Expo 2018. The new super sports model offers a 155 cc, liquid-cooled, 4-stroke, SOHC, 4-valve, fuel-injected engine that uses innovative technologies like Variable Valve Actuation (VVA) and Assist & Slipper (A&S) Clutch. 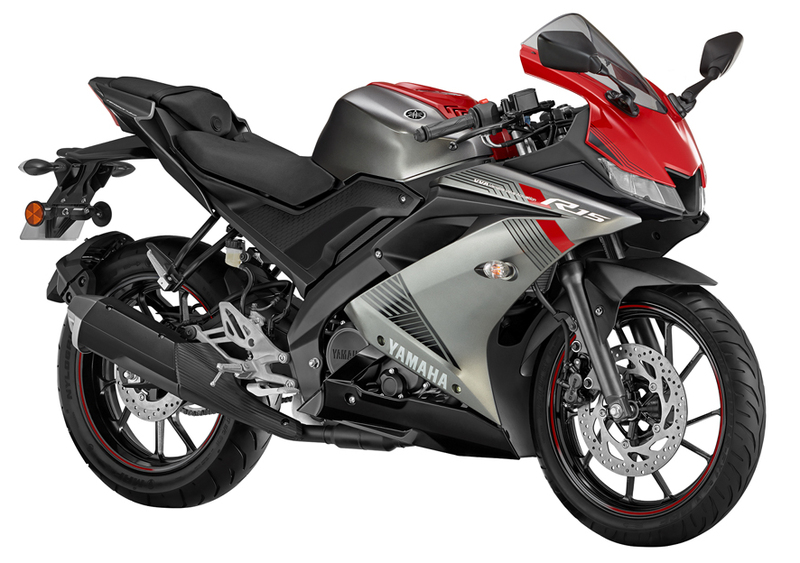 Continuing with the great legacy of R-DNA since 1998 with the launch of YZF-R1, Yamaha carries the similar high technology and high performance forward with its new YZF-R15 (Version 3.0). It is armed with a powerful 155 cc engine with high compression ratio resulting in maximum 19.3 PS power at 10,000 RPM delivering a torque of 15 N.M at 8500 RPM. Yamaha introduces the revolutionary VVA system in India with this version which delivers top-end power without sacrificing torquey character in the low to mid-range rpm. This results in linear acceleration and high performance character along with sharper throttle response. Mounted on a Delta box frame, this technology promises a more powerful, feature rich and sportier model, along with the shift light and VVA indicator which makes the power band simple to manage. The Assist & Slipper (A&S) Clutch has been adopted to reduce the weight of the clutch pull and provide a low stress shifting during deceleration. The A&S Clutch provides smooth and enjoyable downshifts during the ride. With its weight (wet) of 139 kg and a massive 170 mm ground clearance, the new YZF-R15 (Version 3.0) gets a stylish look from its fully digital instrument console and LED head and tail light. Yamaha’s high performance handling is all about creating a machine that responds naturally to the riders’ control perceptions. The feeling of rider-machine unity is achieved through the upgraded riding position (more aggressive) and wider size rear tire (same size as offered in YZF-R3). In order to further encourage the racing enthusiasts, Yamaha will also market “Racing kit” consisting of Metzeler tyre along with Daytona muffler and Frame Slider with the new version. This kit can be additionally purchased from authorized dealers of Yamaha. Previous Previous post: iBall launches ‘Musi Duet’ – completely wireless portable speaker: Looks great… sounds even better!